springlifecounseling / January 9, 2017 / Comments are off for this post. Well we made it! Whew. That was a close one! But in fact, we are on the other side of holiday season (except Mardi Gras, of course) and we are also on the other side of the-year-we-do-not-speak-of. Let’s pause and give ourselves a pat on the back!! Yay Us! 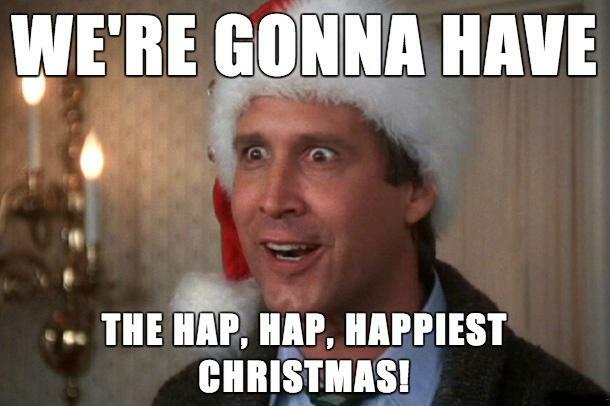 The end of the year often feels like a mad dash between holiday parties and buying presents and road trips to Grandma’s house and making sure it’s the hap-hap-happiest season of all. Lot’s of people set aside January to focus on healthy physical changes, which I am ALL ABOUT! And on another day I will write a blog about the connection between physical health and mental health! But today I want to look at things we can do to detox from the “stuff” that effected our emotional well-being through the holiday season. Detox from hurry. If 2017 is truly going to be any different than 2016, now is the time to create some intentional space and consider what you’d like to see change over the course of the next year. Let’s let January be a time where we say “no” to some stuff so that we can day dream a bit, make a few goal lists, and really consider how we’d like to see growth unfold in ourselves over the next 365. My husband and I have an ongoing discussion to this end and two things that have surfaced strongly for us both is that we intentionally disconnect from our phones when we are together and that we spend a full day on the weekend not working but focusing on quality time and special activities as a family. When I look back on the movie of my life, I don’t want to see myself running around town all the time in my car to unnecessary stuff or staring at the rectangle in my hand like it is giving me life. Detox from the myth that “more is more.” If you’re like most people, you spent extra money on purchases throughout the holiday season and you received some new possessions. I hope that you spent and received things mindfully and it wasn’t done out of compulsion or obligation. But whatever the case, the focus almost always is on “more.” Unless we’re talking about coffee or dark chocolate, I’m actually a believer that LESS is more. To that end, I recently watched a documentary on Netflix called Minimalism that was another step on the journey for me towards simplifying my life. I actually wrote a blog about this topic this time last year, but little did I know how good August would be at clearing out my material possessions. (Thanks for that hard-fought lesson, Amite River.) After a season of “more” I just think it’s a great palate cleanser to pair down, clean out, and make more space for what really matters in life. Detox from unhealthy people. Did your family treat you like your 16 year old self this Christmas? Did you find yourself acting like a person you barely recognized when you got around your siblings or in-laws? Did Aunt Linda shame you for not being married yet or the extra weight or your unruly kids? Was it all you could do to not tell Aunt Linda where she can shove it?! Whether it’s people wanting to put their expectations on your life, or political discussion that made you forget to chew your spiral cut ham, we have all had the experience where being around certain people just brought out the worst in us. To some people, the best thing about the holidays is that it only comes once a year! Use January to remember who you really are. How you’ve changed. What you’ve overcome. Why you’ve left some people behind and embraced others. Don’t let being around old “triggers” cause you to slip into old patterns of behavior or thinking. If you need some extra help in this area, I can’t recommend this book enough. And of course, lots of people reach out for counseling at this time of year to discuss family issues that have come to light or brought back into sight. If you want to make an appointment to get help with this type of thing or something else, contact me here. Detox from unhealthy food. Now I said at the beginning of this post that I’d save this topic for another day. But because I just can’t help myself, here is a plan that I really believe in. While I’m a mental health professional and not at all a dietician, this is what my husband and I like to do a few times a year (with vary degrees of “success”…sometimes it send up being a “Whole 14,” in all honesty). What I believe is that the simple acts of eating mindfully, having to think ahead, get creative and, yes, deny yourself things that aren’t helpful for your health, are exponentially good for your health in surprising ways. Discipline begets discipline. And when you add more discipline to your life, the ripple effects are many and varied. So there you have it. What is January good for if not a fresh start? Take a minute. Press pause. Don’t let this month pass by without considering and planning towards how you want your life to look this time next year.